In a specialist new book titled Strikes and the Law, a panel of expert authors addresses these challenges, while also suggesting possible solutions based on their combined expertise. 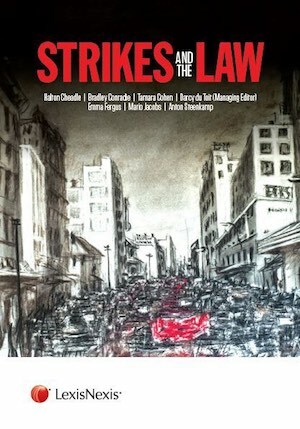 Strikes and the Law is published by LexisNexis South Africa and written by leaders in the field, including Halton Cheadle, Darcy du Toit, Anton Steenkamp, Bradley Conradie, Tamara Cohen, Mario Jacobs and Emma Fergus. The book provides up-to-date analysis of case law, legislation and policy developments relating to the law of industrial action in South Africa and examines the reasons why in many cases, the law is disregarded. In addition to the practical discussions from both a union and an employer perspective on the rights and obligations before going on strike and during a strike, the publication also covers constitutional and international law; socio-economic dimension of strikes; protected and unprotected strikes; essential services; interdicts and other remedies; lock-outs; pickets, socio-economic protest action, gatherings, demonstrations and dismissals.